3 Ways to Win a PS Vita Early Only From Taco Bell starts now! If you checked the PS Blog US a few weeks back, you saw that Sony and Taco Bell teamed up to give away free Vita's 3 ways. Those where the Unlock the box (shown above), battle, and boast. 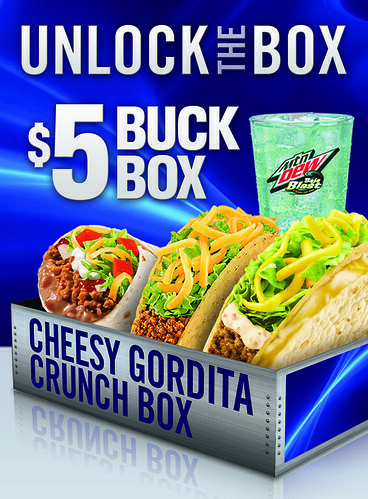 Head to your local Taco Bell to day to pick up the big box. This includes a Cheesy Gordita Crunch, Crunchy Taco, Burrito Supreme and medium fountain drink. The code will be on top of the box. It is where that white strip is on the box shown above. Then you need to go to unlock.tacobell.com and enter the code there. The PS Blog worked with Taco Bell to create a Augmented Reality game based on the upcoming PS Vita game Reality Fighters. You can play Reality Fighters Dojo by downloading it to your Android or iOS device. Then you need to pick up the specially marked $5 buck box, start Reality Fighters Dojo, point your device’s camera at the top of the box and get ready to battle. Below is what it will look like. This one is the easiest in my opinion. 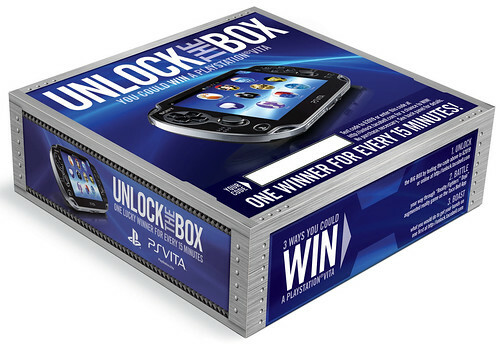 All you have to do is Create a photo or video boasting about what you’d do to nab a PS Vita and submit it to unlock.tacobell.com/boast-enter/. Now, what can you win? Prize Packs will include one PS Vita 3G/Wi-Fi system, one copy of the PS Vita-exclusive Little Deviants, one 4GB PS Vita Memory Card and your choice of one of the following: ModNation Racers: Road Trip, MLB 12 The Show or LittleBigPlanet. PS Vita winners will begin receiving their devices after February 8th and your selected game choice will be shipped on its respective launch date. For additional details, information, and rules head to unlock.tacobell.com. Also, here is some videos. The first one is from Sony. The second one is from Taco Bell. What will you do if you win a Vita from Taco Bell? Let me know in the comments!